As per the conditions set by General Motors, a dealer who does not accept its offer by July 15 would get only 50 per cent of the compensation amount being offered. Protesting dealers of General Motors, which is exiting the Indian market, said on Tuesday, around 15,000 people would lose jobs due to the auto major's move and the government should intervene in the matter. Terming the automaker's decision to stop selling cars in India as "clearly thought out conspiracy", the dealers along with their staff members also demanded adequate compensation from the company. "This is a clear case of conspiracy. The company just kept us in dark while they planned to close operations in India," a dealer, who has dealerships in Noida and Ghaziabad in Uttar Pradesh, alleged while protesting at Jantar Mantar. Around 40 dealers and their staff members on Tuesday staged protest here against the company's decision. A dealer said the government gave all kinds of waivers to the company when it set up shops in the country and now when they are leaving like this, someone from the government should get hold of them. There is a loss of around Rs 1,000 crore (Rs 10 billion) for the dealers and around 15,000 people employed at the facilities are going to lose their jobs so the government should intervene in the matter, he said. "We are writing to PMO and various ministries through FADA asking them to intervene in the matter," the dealer said. A majority of General Motors' 96 dealers, which operate around 140 showrooms across India, are unhappy with the company's compensation offer of just around 10 per cent of total investment made by dealers. Another dealer from Jaipur said the company kept them in dark about the impending closure even as they kept on investing on their respective facilities. "We had even sent our people to get training for the launch of new Beat. Last year they held a meeting and showed us new models which were to be launched in India. So they kept us in dark all this time," the dealer said. "On top of it, there is take it or leave it attitude from the company. There is one way communication. All we wanted was a mutual agreement on compensation. We have been associated with the company for such a long period," he said. The Federation of Automobile Dealers Associations (FADA) secretary general Gulshan Ahuja said their intention is to resolve the matter amicably. 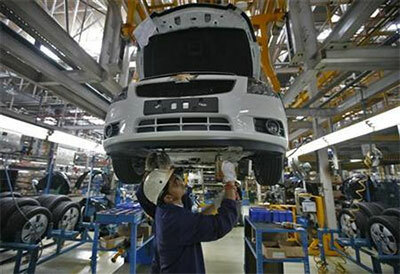 "But if need be, we won't hesitate in taking legal route against the automaker," Ahuja added. The FADA is already exploring the possibilities of filing class action suits against the American automaker in the US over inadequate compensation. When contacted, a General Motors India spokesperson said: "GM India is providing our dealer partners with a fair and transparent transition assistance package based on a methodology that is consistent across all dealers." "This has not changed. The methodology is then applied to the individual circumstances of each dealership. These discussions with individual dealers are confidential," the spokesperson added. In case a dealer does not accept the offer by September 15, he would not get any compensation at all. In 2015, the company had announced to invest $1 billion in India to enhance manufacturing operations and roll out 10 locally-produced models over the next five years. In January this year, the American firm put on hold its investments on new models for India as it undertook a full review of its future product portfolio in the country. On May 18, General Motors suddenly decided to stop selling its vehicles in India as there was no turnaround in its fortunes here after struggling for over two decades to make a mark. The company will now focus on exporting vehicles from its manufacturing plant at Talegaon in Maharashtra after it stopped production at its first plant at Halol, Gujarat last month.